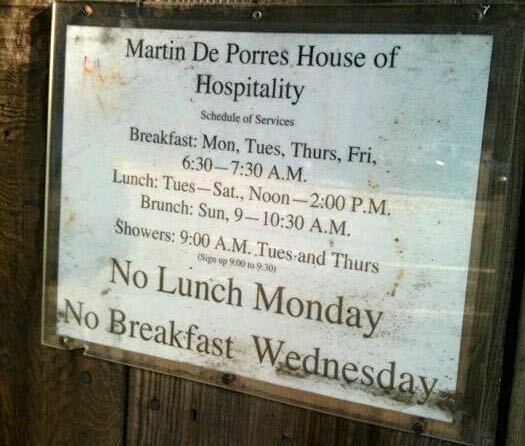 Martin de Porres, House of Hospitality, a venerable soup kitchen, is all about love. Each person who comes to Martin’s is treated like a guest, made to feel at home, safe and as a consequence loved. It is a special place where the interaction between the volunteers and guests, many who have been helping out since the beginning in 1971, create an important sense of community. Word about Martin’s even spread to Mother Teresa and the Dalai Lama who have both been visitors in past years. Martin’s was named after St. Martin de Porres, the Peruvian patron saint of social justice. The word “saint” has been removed however to remind people Martin’s though spiritual, is not a religious place. There is no mandatory prayer for food. Instead as stated on their website, it is built on the philosophy called “gentle personalism: all persons have dignity; all persons have the right to be respected. Each person who comes to Martin's is a guest and is to be treated as such. Eating is a right, not a privilege, and that feeding the hungry is a matter of justice, not of charity.” Martin de Porres is not a corporation and there is no salaried staff. Volunteers and donations keep the place going. Unassuming from the outside, you might miss seeing it if you drive by. Inside it is spacious, warm and welcoming with a flowered patio and skylights. Food is served from a bright white kitchen. It is affectionately called a free restaurant. There is even take out. As a volunteer said, there is often a lot of fun and laughter. Breakfast and lunch are served to 200-400 people a day. Many meals consist of a different hearty soup with salad and bread. Thursday is a favorite to many when Turkey Barley Soup is offered. On Sunday’s there might be shepherd’s pie or variations on rice and beans. At Christmas there is a special meal with waiters and volunteer music. Martin’s also offers a medical van on Thursdays and showers twice a week. Food Runners is doing the good work of supplementing the needed ingredients for these many meals. When you are a food runner, you pull up close, ring a bell and an eager kitchen volunteer welcomes in the food. 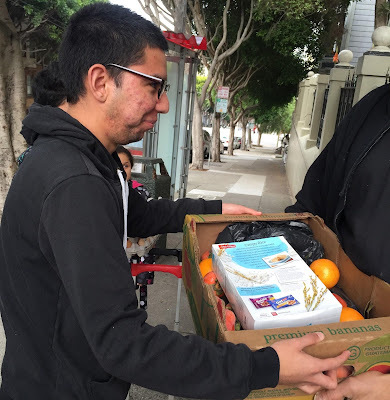 In this seemingly turbulent political environment, the way Martin de Porres treats the homeless with respect and kindness, reminds us how to be in the world. It is one of the many important places in San Francisco that Food Runners serves. 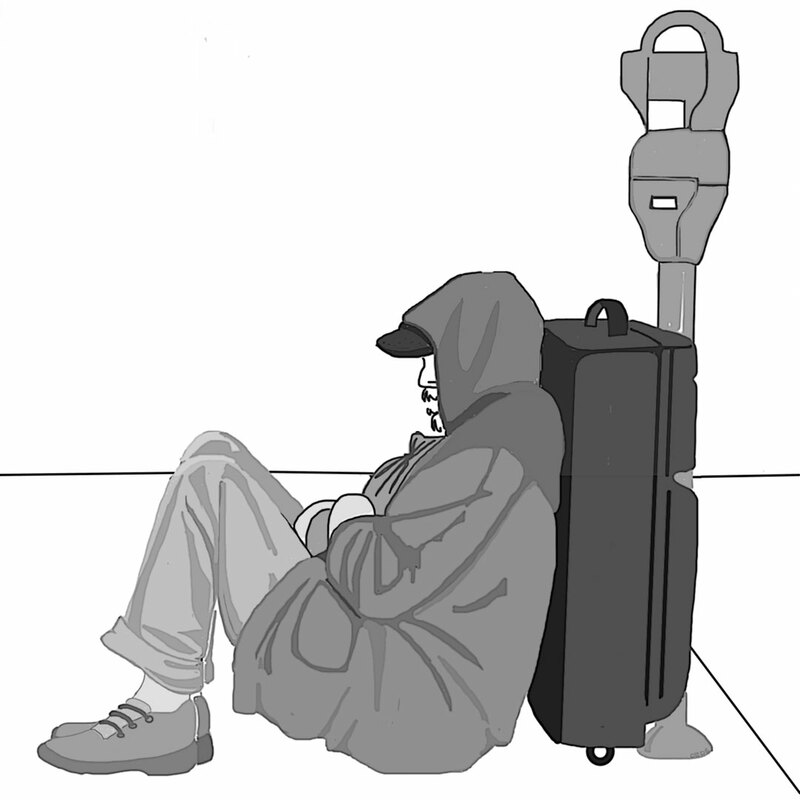 Homelessness in San Francisco breaks my heart. 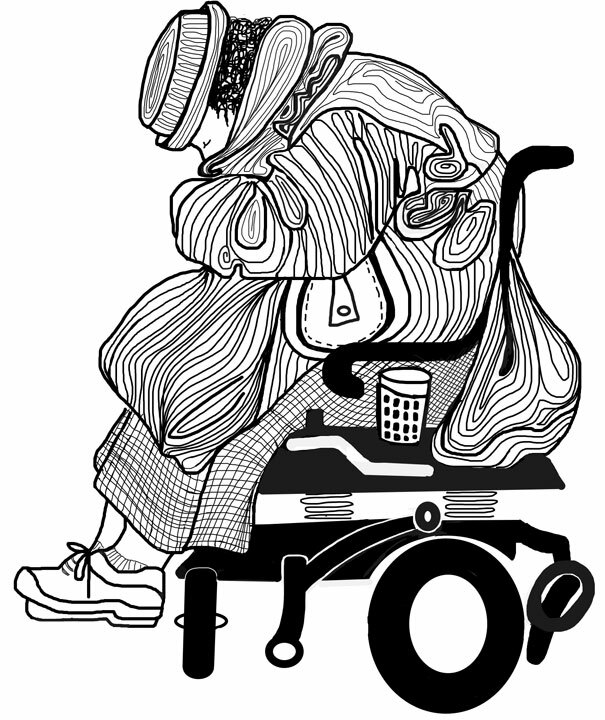 Honestly, Food Runners is the only thing between me and complete despair about the homeless. I think that, with all the brains and money in this city, we should be able to provide safe shelter and food for the homeless. 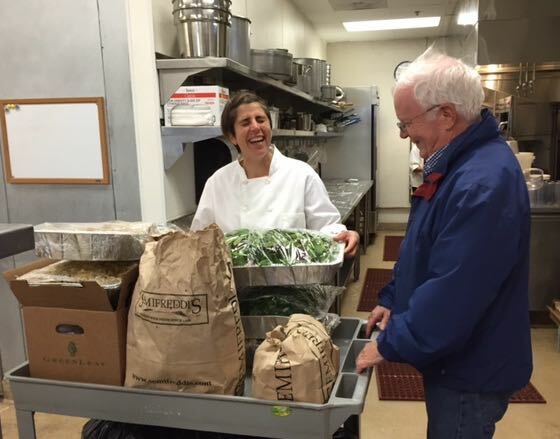 Mary Risley’s Food Runners is part of the solution. For the last 30 years it has made a significant contribution to providing food for those without. But we are still not done. This is not one stop shopping. We also go to Kara’s cupcakes on Third Street. You can smell the chocolate before you get to the door. 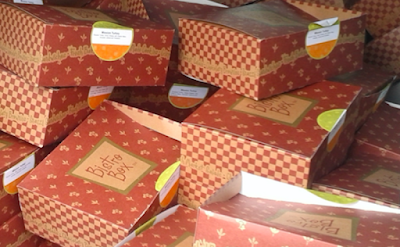 We pick up eight to ten big white pastry boxes of cupcakes there. Lisa goes to St Francis Lutheran Church where volunteers help unload. Dawn and I go to City Team at Sixth and Howard. At City Team, Dawn and I are met with a squadron of men who help unload the car. Recently I took a grandson along to help. There was a fellow standing by the trash can who greeted us with “I live here 24/7.” I asked if he lived in one of the neighboring shelters and he replied.” No, the sidewalk is it for me – 24/7…24/7 every day.” As we were leaving, my grandson rolled down the window and said “have a good day.” The man surprisingly said “Son, every day is a good day for me.” When we drop off food, we always get many “thank you’s.” But these people are doing the hard work. We are just spending a gratifying hour once a week delivering food. We know that it is easy to feel angry about those who sleep on the streets. But it is better to offer a smile or a cup of coffee or volunteer or donate to Food Runners. I’m in the middle of reading Ivan Doig’s classic novel of the American west, The Last Bus to Wisdom. That book and its vivid story of bigger-than-life characters inhabiting the back roads and farms and rural hamlets of the America west reminds me of the bus (actually, a 1997 Plymouth Voyager) trips my wife Pat and I take each Saturday morning in our assigned Food Runner route stretching from our neighborhood Peet’s store, where we pick up lots of coffee, to the Whole Foods Store hard by the McDonald’s at Haight and Stanyan Streets, where each week we pick up hundreds of pounds of fresh fruits and vegetables and eggs and bread, all to be delivered to the Haight Ashbury Food Program* (HAFP) pantry some four blocks away in the heart of the Haight. 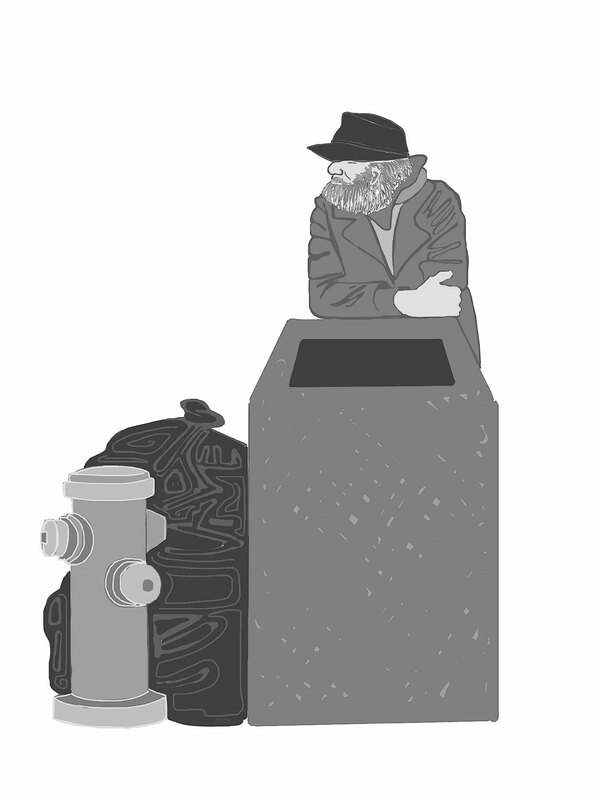 Along the way we meet some interesting characters – people Doig would have loved to sprinkle onto his novels. 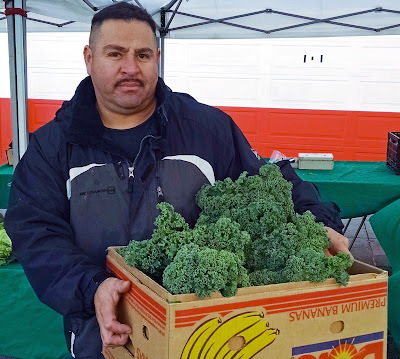 First, there is Robert who for many years has been in charge of HAFP’s food distribution/pantry outlet headquartered on a ground-floor of a seen-better-days church building complex. 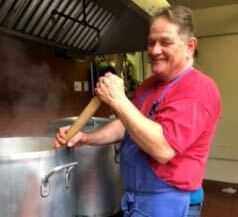 Robert is there every Saturday morning at eight o’clock sharp when we arrive in our food-engorged bus - a calm, centered and caring hand that makes the HAFP program hum. While you would never know it from Robert’s modest demeanor, his HAFP work has won him well-earned, gold-seal bedecked official accolades from the wider San Francisco philanthropic community. Helping Robert unload our bus each Saturday morning are Steve and Mike, volunteers living in the Haight who give of their time to, among their many other HAFP chores, add muscle to the moving of the food from our bus into the pantry. They also add, by the way and more importantly, a steady diet of good humor, good cheer and …well…just plain goodness. Once we leave, having been unburdened of our food and coffee, Robert and Steve and Mike and numerous other volunteers spend much of the rest of Saturday seeing to the distribution through the HAFP pantry of fresh food to some 150 clients living in the Haight who have come to depend on the pantry for wholesome supplements to their diet. To me and Pat, it is more than an honor and a privilege to regularly cross paths with these remarkable people. It is a blessing, truly a blessing, to get to know HAFP’s undaunted, unbowed, and unsung mini-heroes who quietly employ food to sew our community together – the very kind of characters around which Doig, if he were still alive, would have built a must-read novel. *Food Runners has been serving HAFP for over 25 years. This is my story of how the simple act of volunteering for Food Runners developed into a very fulfilling relationship with the recipient organization, the Center for Young Women’s Development (CYWD). On my first Run to CYWD, I brought a large serving of Tofu from Whole Foods. Seeing the look of trepidation on the face of the young woman who greeted me, I called over to a passing Fed Ex delivery person for help. “Tell her that this is good stuff”, I implored. He did and that is how my relationship with CYWD started. 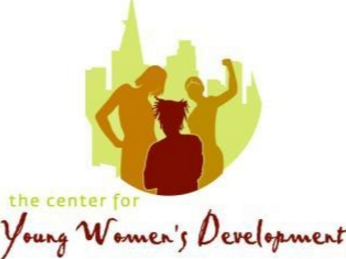 CYWD is an organization that gives young (mostly) minority women a second chance after involvement with the juvenile justice system. They provide in-house training, peer support and advocacy to promote self-determination and increase leadership skills. We felt privileged to be included and joined in with love and joy. One day while making a delivery, a CYWD member asked “Ossie, may I tag you?” I responded “Of course,” not really knowing what “tag” meant. And Voila! My introduction to Facebook. Many years ago, before I had gray hair, I met a woman while house/dog sitting who would walk her dog about the same time I walked and we would chat politely as people walking dogs often do. Turned out this woman was Mary Risley and she had just started a clever volunteer pro-gram she called “Food Runners.” Hmmm… I tucked the name away in the back of my brain as something fun to do if and when I ever retired. Fast forward to 2010 and shortly after retirement I looked Food Runners up online, filled out the form and before you could say “Where’s a park-ing spot?”, I was on my first run. And, I’ve been running every since. At first, I played the field, picking runs from the dispatcher’s Friday email listing. I loved the variety but wanted something more predictable for my untethered schedule. So, I chose to commit to what I call “Mitzvah Wednesdays.” I have two regular runs on Wednesdays. One that starts at 10:00am and takes me to The Marines’ Memorial Club, White Swan Inn and Piperade; dropping off at North Beach Citizens. Steve at Eat Club loading the heavy items. He insists. I love Wednesdays! On Friday mornings I pick up from B. Patisserie and deliver to the JFK Towers, where the residents eagerly await my arrival. The donors and recipients are all smiles when they see me, we talk about “stuff” and sometimes I just grab and go or stop and drop depending on how busy everyone is and, of course, whether or not I found a real parking spot. There’s another subtle advantage to these regular runs — I go to neighborhoods that I would not necessarily visit on even a monthly basis. Now I have a better sense of changes around town and how life works (or doesn’t) for San Franciscans East of Twin Peaks. Oh, and I still make myself available for “on call” days as well as the occasional night owl run. Driving around town late at night is just the best, especially when you’re delivering amazing fare to those who are in need of a real meal. Especially now, when the world often seems overwhelmingly chaotic, redirecting food to the needy gives me the sense that I’ve helped solve one problem on that day and in the old fashioned way — face to face. Food Runners is the finest volunteer experience I’ve had during a lifetime of volunteering. You can do as little or as much as you like with no pressure. Plus it combines my love of driving, my native’s cunning at navigating SF (without GPS thank you very much) and my dislike of wasting food. What’s not to like?? If you’re already a Food Runner, you know what I’m talking about. If you’re hovering, take the plunge; I think you’ll be glad you did! At the Tory Farms stand at the Ferry Building Farmer's Market.....that's where! From June through September Tory and Rebecca Torosian bring fifteen hundred pounds of stone fruit to the market each Thursday and Saturday. Apricots, plums, peaches, nectarines and pluots (oh those pluots!) are in abundance Two to three hundred pounds are donated to Food Runners at the end of each market. It is a massive gift, and it is given with great heart and generosity by a most wonderful family. As a Food Runner of almost two years, it is always thrilling to receive it. That feeling of being useful, of rescuing food and redirecting it to good use, never fades. Rebecca & Tory Torosian with eldest son, Troy Jr. The Torosians farm fruit in Dinuba in Tulare County. I asked Tory once what they did to create such outstanding fruit. "It's the soil," he whispered conspiratorially. Their region features alluvial soil from Sand Creek and King's River. What sets the Torosians apart is their heart. They are joyous in their work, and donating fruit to Foodrunners is integral to that joy. They also give fruit to their market friends, and to a local church back home. Friends frequently congregate in their stand. I often think it is more like a party than a going concern! At the end of the market, Rebecca, who manages the transactions, will often gift fruit to late market stragglers. I love watching the peoples' faces as they accept her generosity. 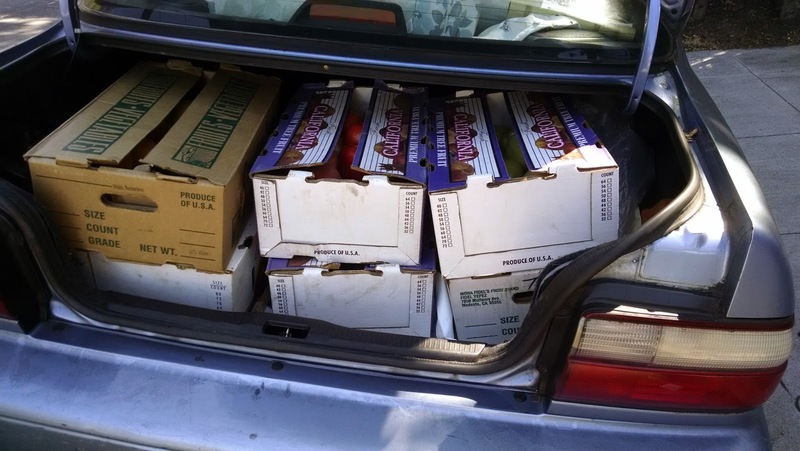 It is wonderful to behold, and even more wonderful to load my trunk and fill the inside of my car with their bounty. Because of the size of the donation, the fruit is split between the Clara House and Walden. Rickey Rein, who runs the after school program at Clara, is teaching children how to appreciate fruits and vegetables in their daily diet. Recently they wrote a special card for Rebecca and Tory to show their thanks. It was my honor to deliver it to the Torosians. I love Walden House. Every delivery creates a parade of residents who come to remove fruit from my car. They are polite and helpful, never allowing me to lift a thing. It is always such a pleasure to know the fruit will be put to such good use in their large facility. I love being a Food Runners volunteer. Who wouldn't, with opportunities like those created by Tory Farms, to make a real difference in the level of nutrition of those in need. This June, as I approached the market and realized the Torosians had returned, I yelled in delight. I think that says it all. Thank you Food Runners, for making me so happy in volunteership to my community. Hospital food doesn’t get rave reviews by food critics, but I know people who are truly grateful for the bounty that Kaiser Hospital shares with the community. 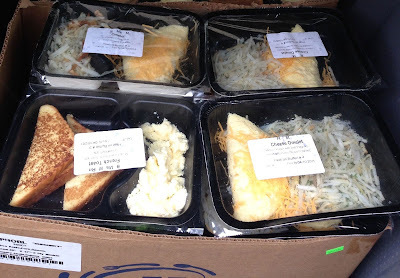 A meal in a Styrofoam tray might look bland/mundane on first glance, but I have learned to see it from the perspective of folks who eagerly wait for the boxes of individual meals that I deliver each Saturday. It is fresh, ready to eat and free. When it is hard to get to a store, hard to afford food and hard to prepare a decent meal, hospital food is very welcome. I pull into the fifth floor loading dock of Kaiser Hospital off of O’Farrell Street and get buzzed in so that I can wend my way to the Nutrition Department. 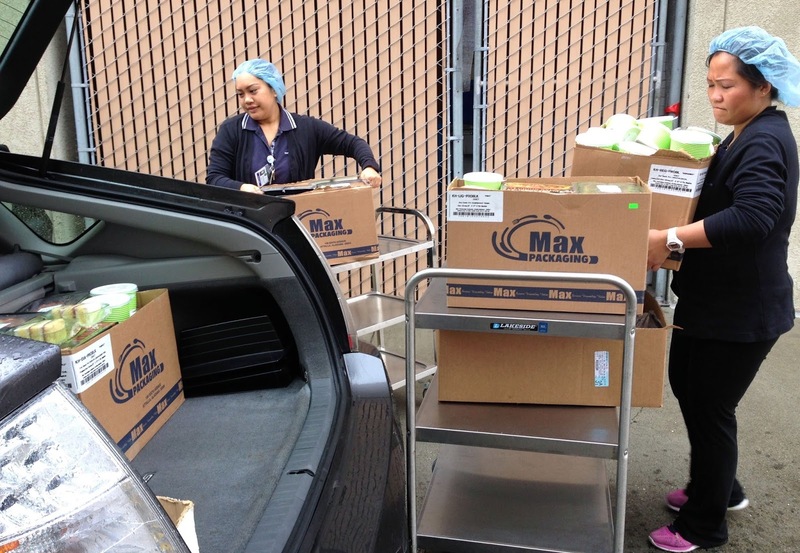 Two staff members –Victoria and Mark or Emelita and Wayne -- take time out of their regular duties to dash into the walk-in refrigerators and gather up meals that are still fresh but, for a variety of reasons cannot be served to patients. Some days they fill four boxes, more commonly six and occasionally eight or more. The boxes are stacked on carts and rolled out to my car. The trunk, the back seat and even the passenger seat gets packed as needed. There is just time for a quick hello and my heartfelt thanks before I head out to make my deliveries. I call ahead to say that I am on the way – although residents are each stop usually are waiting as I pull up. The first stop is Zygmund Arendt House, a modest building for low-income seniors on a quiet residential street. Frank and Roger help unload and wish me well. If there is enough food, then I zip over to Arnette Watson Houses on Eddy where Robert and Robert are on the sidewalk waving hello when I pull up. 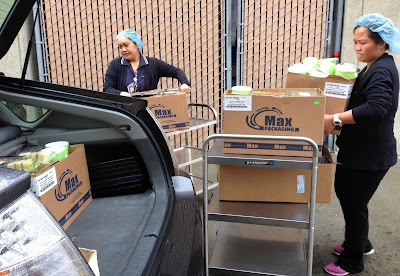 The boxes disappear onto a cart or chair or just their arms before I even can get out of the car and greet them. Always, I am thanked profusely. The thanks that come my way belong to the staff at Kaiser and to the team that keeps Food Runners running. I am the lucky one: I’ve met nice people in circumstances quite different from mine, I put my car to good use (a kind of carbon offset, I’d like to think) and I know that some bellies will be full for another day. I started running again. Not what you think. Another kind of running. 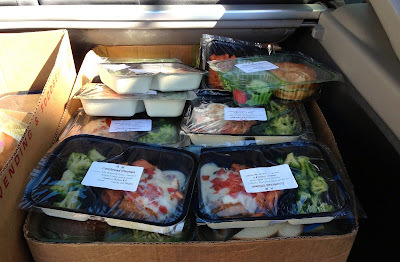 Picking up and delivering food for Food Runners. 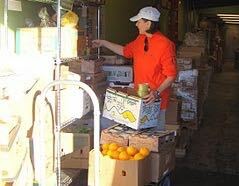 In 2000, I became a Food Runners Volunteer while co-authoring a cookbook about restaurants, and have been running ever since. For years I ran once a week. With all the wonderful food I buy, cook, and restaurants I enjoy, I wanted to give back in some way. I started by picking up from the back doors of restaurants where I met chefs, cooks, and dishwashers. I experienced first-hand how hard people work and how generous they are. Over the years, like my fellow Volunteers, I have picked up from grocery stores like Gus Community Market, business parties, bakeries. There is a huge list of runs to choose from. Not only is it good to pick up, but also rewarding and eye opening to deliver. Our City is full of places that give people a leg up or offer them protection like The Sanctuary, and small ones, like little shelters, like La Amistad, found in non-descript Victorians. There are many halfway houses, after school programs, day care for underprivileged children, gender specific rehab, senior centers, soup kitchens, and more. I had to take a break for a while for an injury to heal, but I’m running again. I’m on call for last minute afternoon runs. 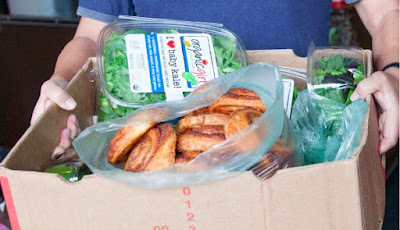 Recently I picked up at Kitchit, a company that sends chefs to homes with prepared meals. 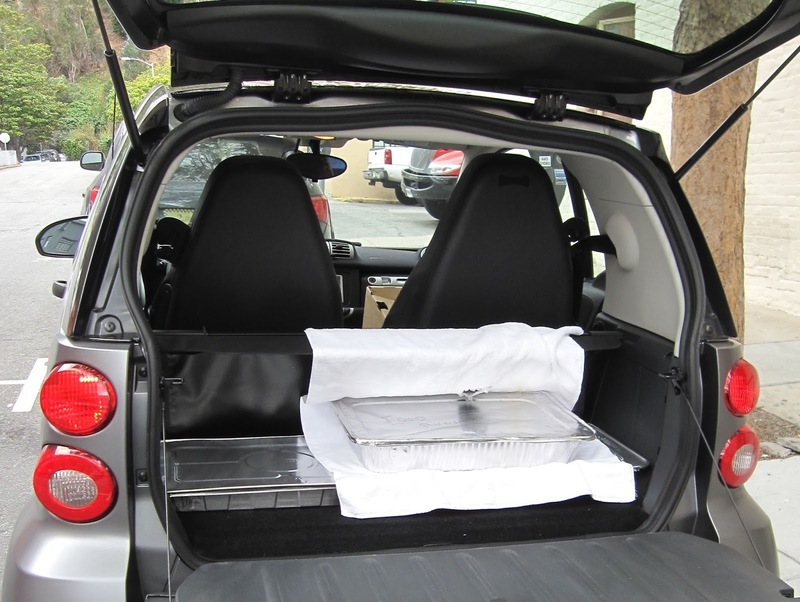 When I turned a corner, a little liquid from the foil covered trays spilled in my trunk, and some burritos tumbled over the edge reminding me to bring plastic next time for my trunk as I had in the past. Should It Be Called Food Waste, Food Rescue or Food Recovery? It doesn’t matter—what does matter is that for almost 30 years the Volunteers of Food Runners have been picking up excess food in San Francisco and getting it to people serving people in need. If you are an active part of this organization, THANK YOU! 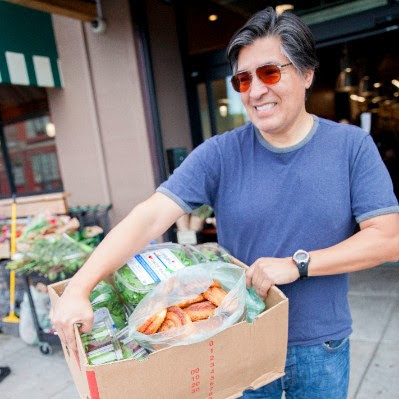 If you would like to help your fellow San Franciscans call 415.929.1866 to sign up or go to www.foodrunners.org. Together we are making a difference in our community! The amazing thing now, in the spring of 2016, is that rescuing excess food to help feed those in need is a hot topic—young people are holding conferences and developing apps; documentaries are being made; and its a popular media subject. In fact, in the last three months, I have been asked to speak at a half dozen conferences here in San Francisco on the subject. Here for you are some of the things I’ve learned. There is no doubt that at least 40 percent of the food grown (and produced) in this country is discarded—and some estimates are as high as 50 percent. Of course, the farmer can’t pick and sell all his produce. Of course, the grocery store can’t put out bruised or blemished produce. And, of course, all the food purchased for the home is not always eaten. But, we as a country can do much better! Let’s start with the FARM. It is said that 25 percent of California’s water goes to grow food that is wasted. 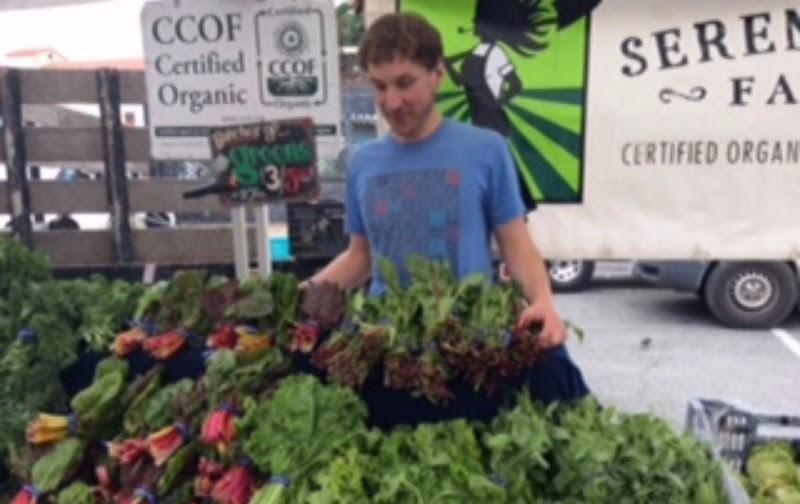 Now, there is a movement to rescue what is called ugly fruit”” and secondary markets being created to market imperfect produce www.imperfectproduce.com. There are also companies processing products from unsalable fruit to make products like fruit juices. What about the HOME? It is estimated that 20 percent of the food purchased for the home is discarded. John Oliver’s segment on Food Waste (July, 2015) is brilliant (YouTube). In it he shows a shopper in a parking lot dropping one-fifth of the food purchased and leaving it there. Also, you can check out my YouTube Video on how to cook up the tired old vegetables in your fridge to make a delicious soup www.tantemarie.com/recipes/soups. We are in an amazing era where young parents are terrified of serving things like milk, eggs, and roast chicken after a sell -by date or a couple of days in the fridge. We are very grateful to David Chiu for proposing legislation in California this last Feb. setting standards for date labelling-- specifically use-by dates. Until now, this has been totally up to the manufacturer. And, as I have said so many times before, don’t throw it out unless it smells. As our friend Robert Reid of SF Recology says Reduce, Reuse, Recycle, and then Rot (compost). Now for the GROCERY STORE? 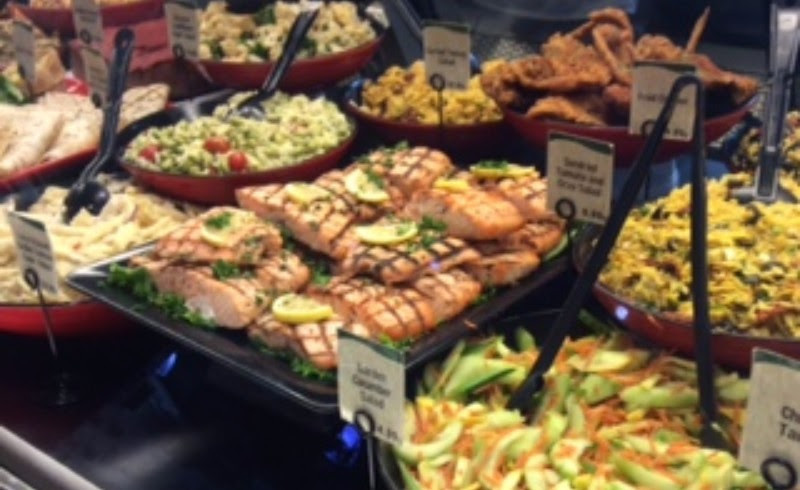 The best is for the grocery store to have a kitchen and a take-out counter. That way, old potatoes can be cooked and turned into potato salad. And, unsold rotisserie chicken can be made into chicken salad. The best is to rotate the raw ingredients and as all good cooks know, make something else with what is leftover. Great news is that in February of this year a law was passed in France barring supermarkets from discarding edible food—they must donate it. So many times, when I talk about Food Runners, it is assumed that we pick up at RESTAURANTS in San Francisco. Actually, a well-run restaurant usually doesn’t have much waste. 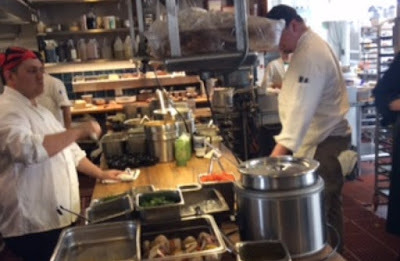 In San Francisco most restaurants cook to order and then order from their purveyor only what they need. Of course, they cannot retrieve and reuse what has been served to people at the table and there will always be lots of compostibles in the kitchen, such as coffee grounds; but a good chef knows how to turn the vegetable trimmings into stock or the bits fish and shellfish into a fisherman's stew. This brings us to HOTELS and CATERERS? There are a lot of hotels and some restaurants in our city catering to people coming here for conventions and corporate meetings. Estimates of number of people attending an event can be way off. Food Runners can pick up all those uneaten box lunches. Good chefs at good hotels know how to reuse food that has not been served to customers—often it is properly stored and turned into staff meals. 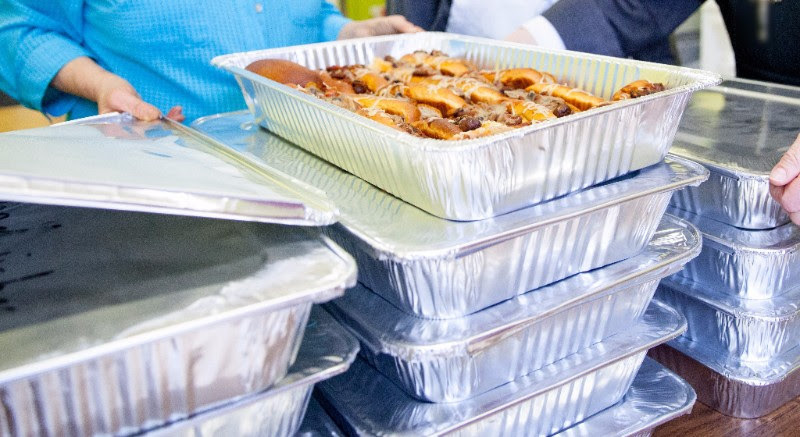 It is important to note, however, that ALL food served at a buffet whether it is in a hotel, corporate cafeteria, or an event venue can be donated. The new trend of delivered meals to offices and homes has also resulted in hundreds of ready-to-eat meals delivered through Food Runners. 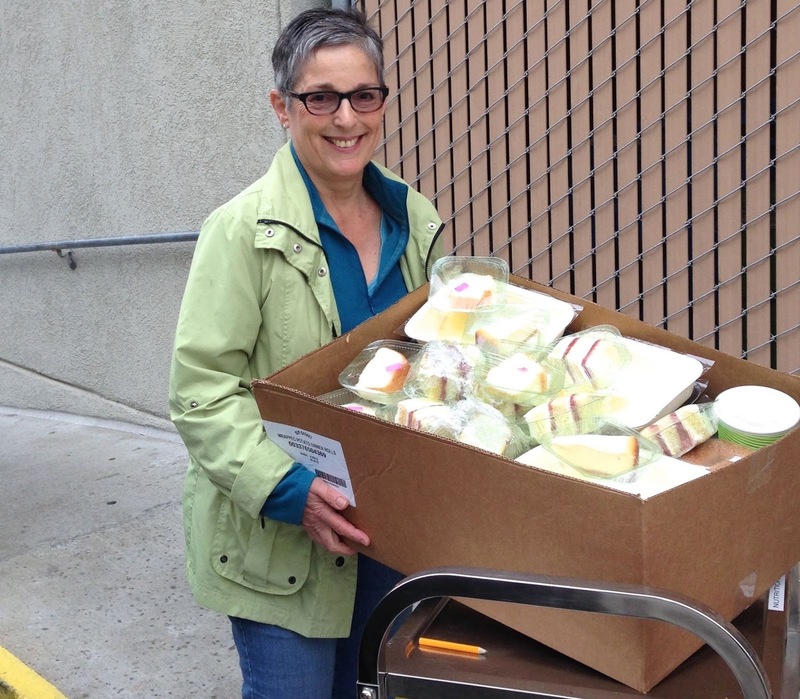 With all this attention on Food Waste, Food Rescue, and Food Recovery, you can help by spreading the word about our free service to any business in San Francisco to pick up their excess food. All they have to do it package, chill it, if necessary, and contact Food Runners at www.foodrunners.org. We will have someone there within a couple of hours to take it to where it can best be used. Is there a good reason not to donate? Not as long as there are hungry people in our city. What about Liability ? The donor is protected by both State and Federal laws. What about company policy? If the policy is to put good edible food into the garbage or compost, it is time to try to have that policy changed. When 50 million Americans don’t know where their next meal is coming from, there is no excuse not to donate edible food. Please tell everyone you know about our amazing organization and to become a Volunteer, call 415.929.1866. Not unlike a dozen other American municipalities, San Francisco is a tale of two cites. One City is the shimmering city of love in which my wife Pat and I first made our home in 1971 – she from a small town in western Pennsylvania and me from a largish city in the mid-west where Woody Hayes once prowled football sidelines. The same City hard by the Left Coast we are thrilled to see below us every time – every time – our flight from the East Coast circles over the Bay, a kind of Emerald City Dorothy and her friends first espied as they tripped through a field of pink poppies in 1939’s The Wizard of Oz. A City of skyscrapers – none of them leapable in a single bound. A City of $8 lattes and $2 million “fixer-uppers” in the Outer Richmond. A City awash in uniform-bedecked school kids, some of them even Catholic or Luthern, on their way to and from parochial schools scattered across the metropolis. A City of ticket-holders – to the Giants, the Niners, the Dubs, the Opera, the Symphony, the de Young, the Legion of Honor, the Academy of Science, a life fulfilled. A City of Google buses and red and ermine-clad techies crowding sidewalks on their annual Santa Claus pub-crawl in parts of the town they have turned into yuppie havens. A City that has become a destination of choice for travelers from around the globe. A City chockablock with real neighborhoods garnished with world-class restaurants on every corner. A City of living spaces where every shelf is lined with bestsellers and every flat expanse is over-flowing with photos of family vacations taken, wedding vows exchanged, and children and grandchildren growing to maturity. A City whose inhabitants’ biggest daily worry is whether they can find a parking spot in North Beach for that special night out for dinner with the kids. And then there is a second City – a place too many ignore or dismiss or fear. A City bereft of housing, jobs, opportunity, and hope. A City of empty wallets and empty years. 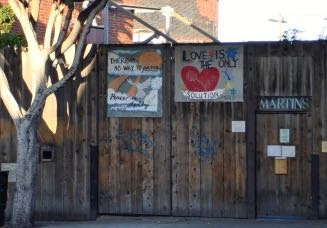 A City crowded with hundreds of single-room occupancy hotels and apartment houses, the largest such gathering in the world, that in 2008 gave rise to the Uptown Tenderloin being placed on the National Register of Historic Places. A City, finally, that is full of hungry mouths to feed and damaged souls to sooth. Starting some 20 years ago Pat and I were brought into that feeding effort when our friend Diane and her husband Mike invited us to join them in their Food Runners travels. After Mike’s passing several years ago, we have teamed up with Diane for weekly food runs from the Whole Foods emporium in the Haight to a nearby community food dispensary and a like run each Friday from Lick-Wilmerding High School to either a close-by food dispensary operated by Mother Teresa nuns or the Edgewood Center for Families and Children. 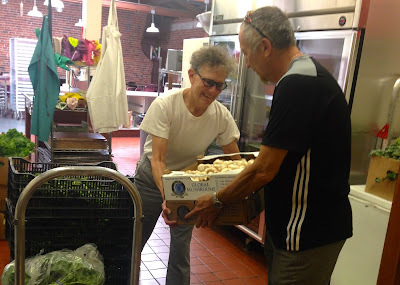 In all of these Food Runners efforts Pat and Diane and I have learned the easy lesson that helping to feed people creates an enduring link between the two Cities described above. Many of these community bridges are anything but fleeting or abstract. 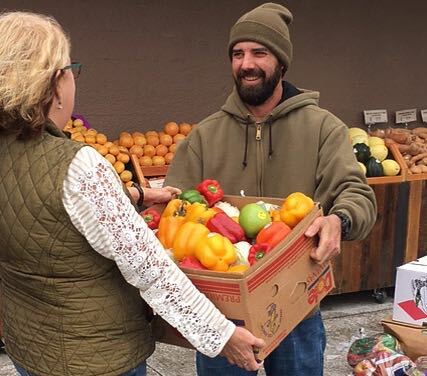 Take for example, our ongoing relationship with Mike who each Saturday helps to unburden our cars of Whole Food treasures at the local Haight food dispensary. Over the years we have come to appreciate Mike’s wardrobe (a bright red Aloha shirt) and a vocabulary that would put to shame an English professor at Harvard – all this in a man who could have landed a part as one of the fur trappers in The Revenant. 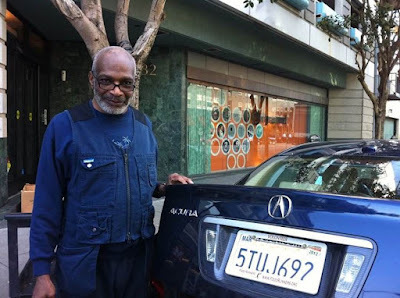 And then there is our friend Robert who Diane and Pat and I met ten years ago on Turk Street outside his Tenderloin residence hotel where we delivered the food at the time. During the course of many deliveries, we got to know Robert and we continue to visit him every Saturday to this day. This 75-year old man, whose vast and unique accomplishments continue to both unspool and astound, has become almost a member of the family. We exchange holiday cards with him and, if you add up the time we spend each Saturday morning in easy and wide-ranging conversations with Robert, we would all have to admit that no other friend, old or new, occupies more of our time in such pleasant ways. 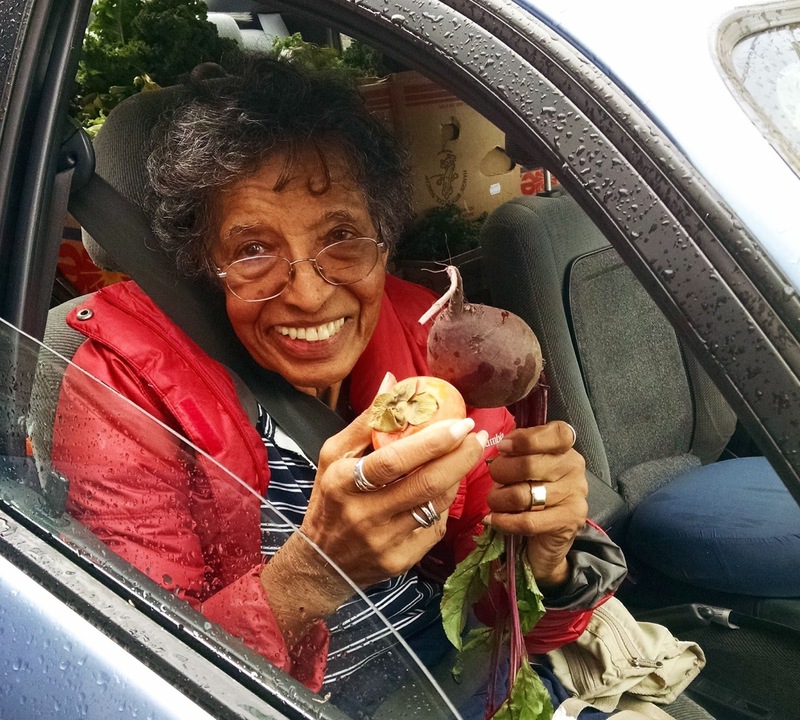 Every Saturday as we drive away from our extended conversations with this amazing friend, we just sort of pinch ourselves that Food Runners has opened the door to meeting someone we otherwise would never have encountered. The bottom line of course is that Diane and Pat and I get a lot more than we give in regard to our Food Runners investments of time and effort. And maybe, just maybe, in getting so much more than we give, we are inadvertently and pretty unconsciously building a bridge – a community bridge – between the City we happen to live in and the people like Mike and Robert we have come to love and respect in a City, it turns out, not so far distant from where we live. Food Runners touches lives. 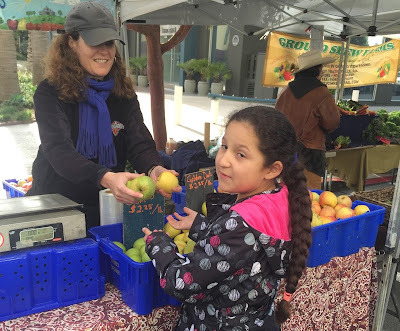 For years, my husband Robert and I couldn’t wait for our Saturday food run to the Fillmore Farmers Market. At the market we would collect food donations from the vendors for delivery to Walden House. Recently, illness has forced Robert to stop. Since we live just down the street from the market and I go there to shop any way, I was able to continue, but not without help. At first, Maria our wonderful housekeeper helped, and then, one by one, her children joined in. Now all the vendors look forward to seeing Maria and the kids, and the kids look forward to helping their community. Here in their own words is what Food Runners means to them. I became a Food Runners volunteer because the garage door got stuck. In November 2011, I received a phone call from Paul O’Malley, a resident in a building that I manage. His garage door wouldn’t open. 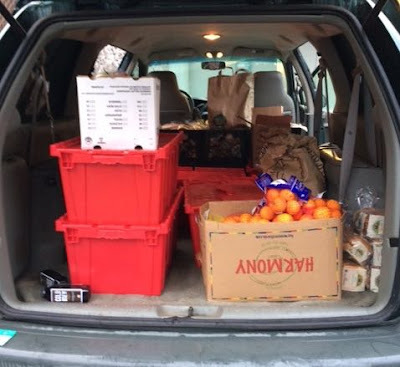 While waiting patiently for the repair service to arrive, Paul stated that the one urgent matter he had to take care of that day was to pick up and deliver some food for charity. The conversation stuck in my mind and a couple of days later I called Paul to learn more. He told me about Food Runners. When I told Paul I might be interested in helping, he gave me the contact information for Food Runners and, within a few days, I was doing my first food run. At first, I chose random runs that fit easily into my schedule. I soon noticed that the Sunday Divisadero Farmers Market run that I had tried several times seemed to be in need of a weekly runner. I volunteered to be the "regular." 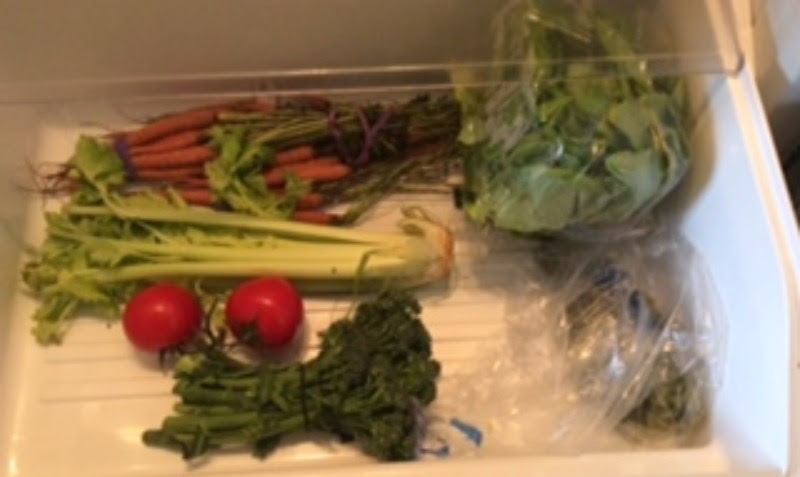 I also noticed a run on Wednesdays that involved picking up from a mini famers market at Martin Luther Tower, a seniors housing complex. I volunteered to be the “regular” on that one too since I'd really been enjoying doing food runs. 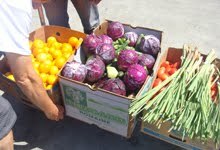 The vendors at the farmers markets do not often supply boxes for their donations. Every week before my runs, I would scrounge for boxes wherever I could. One day, Mary Ann, the coordinator of the Martin Luther Tower mini market, became aware of my plight and told me she had many empty boxes in storage on an ongoing basis and had been wondering what to do with them. She kindly offered them to me. What serendipity! The boxes make transporting the donations so much easier. I simply stack the loaded up boxes on my luggage cart and wheel them to my car. Another serendipity moment arose when my close friend Ina Dearman heard about my Food Runners escapades and said she wanted to help. 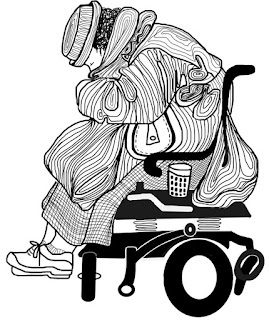 Ina has multiple sclerosis and is unable to walk without assistance. Ferrying food to my car was not a viable option for Ina. How could Ina help I wondered? The light bulb went on. Parking at the Divisadero Farmers Market had always been challenging. I realized that Ina could be a valuable asset in this regard. 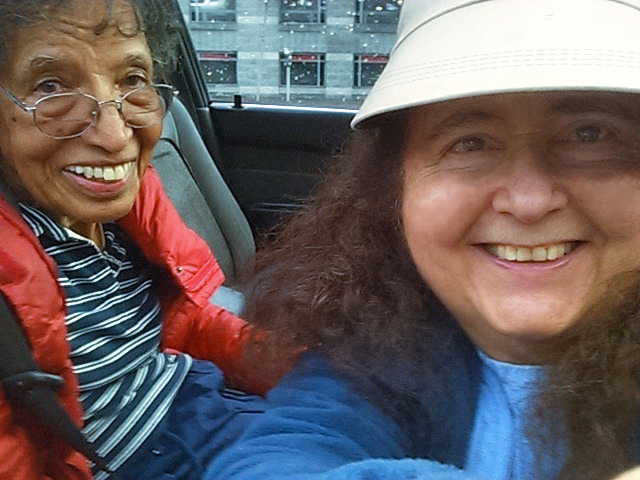 With Ina staying behind in the car, I can park almost anywhere and, if somebody wants the car moved while I am picking up the donations, Ina is there to explain the mission. People are always very supportive and patient. There are multiple benefits to being a Food Runners volunteer. 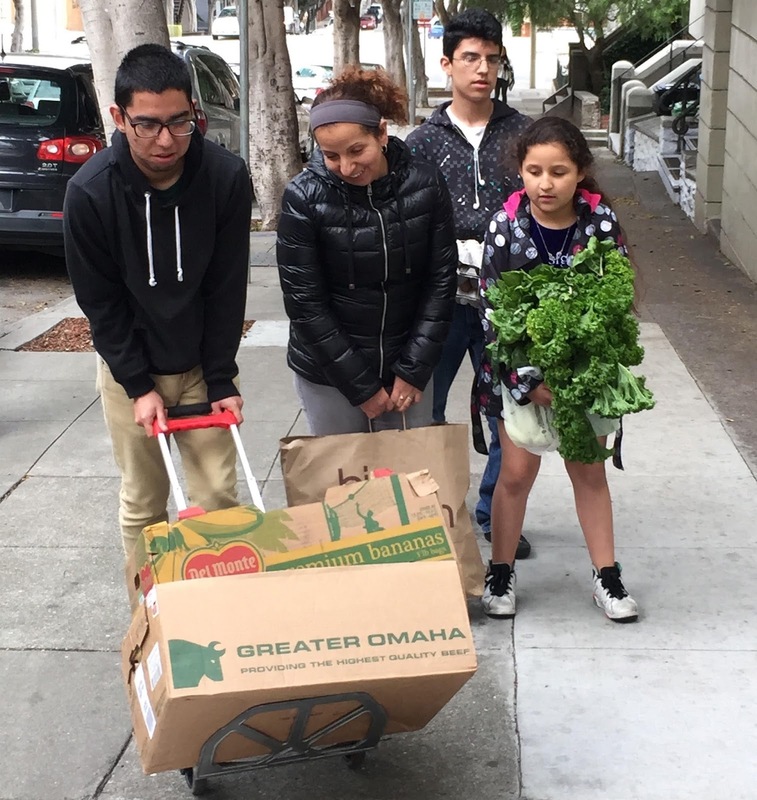 Not only is it satisfying to know that left-over food is going to people who really need it but also, to witness the responses from both donors and recipients. The donors are generous and seem genuinely pleased that their food is being used for a good cause. The recipients are extremely happy and grateful to receive the food. The other great benefit? I get to spend time with my dear friend Ina doing something important and meaningful together.